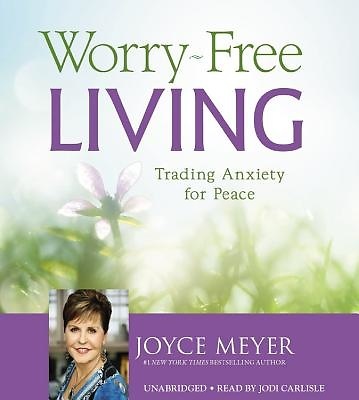 In this compact adaptation of Be Anxious for Nothing, #1 New York Times bestselling author Joyce Meyer shows listeners how to rid themselves of worry and fear by drawing on the peace of God. Difficult times are part of living in this world. However, God has provided a way for us to enjoy peace as part daily life. We can choose either to allow ourselves to be burdened with worry and anxiety or to live in the peace and joy that God wants for our lives. Joyce Meyer shows how to rely on God's strength during difficult circumstances by revealing the nature of God's peace as found in Scripture. She explains how to trade anxiety for joy, develop a childlike attitude of faith, and give our worries to the Lord.